Martha Ann Lewis went to be with Lord on October 03, 2018 in Vilonia, Arkansas at the age of 66. She was a resident of Vilonia at the time of her passing. Martha was born on January 15, 1952, in Jacksonville, Arkansas to Thomas Oscar and Mary Magdalene Lewis. 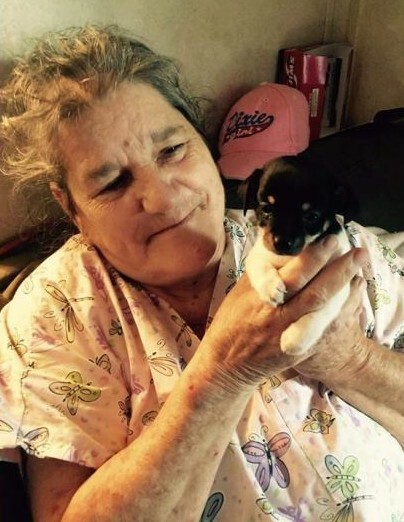 She worked at the Vilonia School district for many years as a custodian. She was a Christian, and of the Pentecostal Faith. She enjoyed reading, quilting, drawing, and listening to music. Some of her favorite songs were, "In the Arms of an Angel" by Sarah McLachlan, and "People Are Crazy" by Dierks Bentley. Some of her favorite gospel hymns included the "Old Rugged Cross" and "Amazing Grace". Martha was a loving person, and her grandchildren held a very special place in her heart. Before her passing, Martha spoke these words, "I want to say thank you to all the people in my life who stood by me and loved me for who I am and what I am." She leaves to cherish her memory, two sons, Steve Brock (Jody) of Vilonia, Arkansas; Michael Perkins of Romance, Arkansas; one daughter, Rebecca Brock of Missouri; brother, Donald Larry Lewis of McRae, Arkansas; sister, Edith Simmons of Vilonia, Arkansas; four grandchildren, and one great-grandchild, as well as a host of extended family and friends. She is preceded in death by her parents; three brothers; Oscar Lewis, Jr., Thurman Aaron Lewis, Thomas Jefferson Lewis, three sisters; Clara Baumgartner, Bernice Blassingame, and Wanda Sue Bradley. The family will host a private memorial service at a later date. Cremation arrangements are under the care and direction of Vilonia Funeral Home 1134 Main Street Vilonia, AR 72173.